It’s been a long, long time since we’ve reviewed anything from Parrot, the company known for its line of Bluetooth related products. Always known to be a player in the mobile space with its portfolio of Bluetooth headsets, they’ve obviously expanded in the last several years to diversify their reach, which now extends into the high-end Bluetooth stereo headphones range. 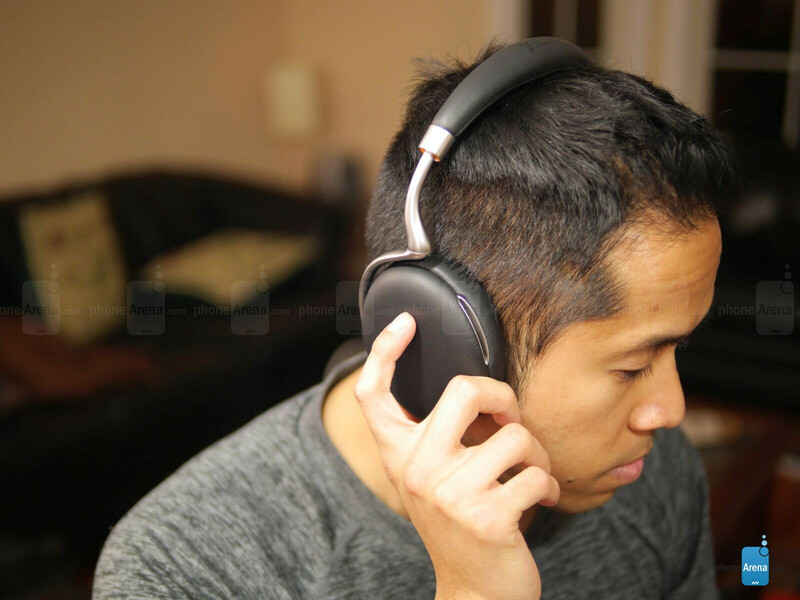 With the Parrot Zik 2.0, the company has developed a rich and powerful pair of wireless Bluetooth headphones to tackle the competition – reflected by its hefty price point of $400. Refreshing, it’s the word that best describes the simple, straightforward, and premium nature of the Parrot Zik 2.0’s design. It really doesn’t look like anything else we’ve seen, so it’s pretty astounding that they’re able to come to the table with something so unique looking. Whereas other headphones try to be over stylized, the Parrot Zik 2.0 goes for the minimalist approach – further accentuated by its premium choice of materials. For one, the brushed metal frame provides support and strength to allow for a comfort fit around our head. Add to that, the faux-leather finishes around the ear cups and headband provide a uniform look that’s always clean looking. Lastly, there’s ample cushioning everywhere to make it extremely comfortable to wear over long periods of time – plus, it’s incredibly lightweight too! Adjustable in height and boasting swivel hinges, they wrap around our head without feeling too constricting. At the same time, too, they’re never too loose fitting to come off with abrupt movement – so it’s usable for running or physical activity. Impressively, Parrot is able to stuff a ton of features into its compact package. The listing includes built-in NFC for quick pairing, adaptive noise cancellation, smart touch controls, and a wired connection for unfiltered quality. Pairing it with an iPhone 6 Plus, its Bluetooth 3.0 connection is exceptional with its range – allowing us to go as far as 30 feet before losing connectivity. In addition, Parrot has outfitted the Zik 2.0 with a plethora of sensors, like a bone detection sensor, to detect and analyze the vibrations of the jaw when speaking to enhance voice quality. There’s even a sensor that knows when it’s taken off your head, so that it’ll pause music – and resume once it’s worn again. If you don’t want that to happen, the companion mobile app allows users to modify the settings and behaviors of its various sensors. Using the touch sensitive surface of the right ear cup, we can execute all the controls needed for music playback and phone calls. In fact, a single tap acts as the pause/play. Swiping up and down acts as volume control, while swiping right and left performs track forward and reverse functions. It’s just nice we have all the controls at our disposal. 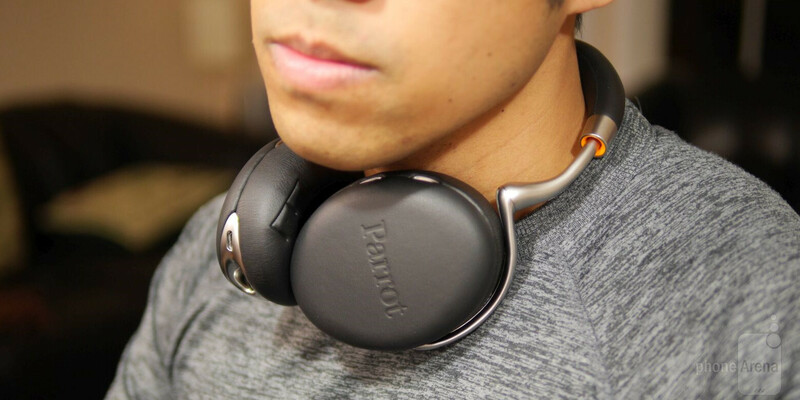 Lots of headphones claim to offer superior noise cancellation, but none of them can come close to the amazing powers of the Parrot Zik 2.0. To be fair, we’ve never come across any pair that totally cancels out background noise, but this one comes pretty close – and it does a lot better job than anything else we’ve come across. Best of all, we can adjust it through the mobile app, which will even all the headphones to amplify sounds. This is especially useful if we want “enhanced” hearing (think Superman hearing). Quite simply, the Parrot Zik 2.0 also impresses us with its phenomenal audio quality – it’s just rich and delightful on so many levels. You can say that it tries to please all audio ranges, so that consists of lows, mids, and highs, but this it goes to a higher degree by offering us complete control in the way we want to listen to music. Using the companion mobile app again, we can fine tune its equalizer setting to enhance the quality to our liking. Therefore, we can set it to favor lows more than the highs – or vice versa. Even at the loudest volume, the Parrot Zik 2.0 reverberates with an outstanding mixture of audio that’s crisp and refreshing. Trust us, it takes great pride in delivering the best audio experience out there! Now, we only have two minor complaints with the headphones. First, its battery life is rather short at 3 days of usage – a total of 6 hours, which breaks down to 2 hours each day while using it at the gym. Well, we should note that we had its noise-cancellation option set to its max, which obviously will lessen its usage. Secondly, it doesn’t offer any sort of audio notifications through the headphones. In a couple of instances, the Parrot Zik 2.0 just suddenly stopped, and we were baffled by this. After digging around, we realized that its battery just simply died – we weren’t notified about it unless we checked the app. This one doesn’t come cheap at all, oh no. Rather, you’ll have to fork over a whopping $400 to pick this up. That’s a serious investment when you look at the number, which costs just as much as any good tablet. However, it’s a treat we’d be delighted to hand over because the Parrot Zik 2.0 is undoubtedly an indulgence we don’t mind relishing on time-after-time. From its striking design, its rich set of features, and outstanding audio quality, it’s worth every bit of the money. Hands down, this one is a clear winner on all fronts! "Audio quaity is superb, can be enhanced with app" You guys might want to fix this, right on the Pros lol.